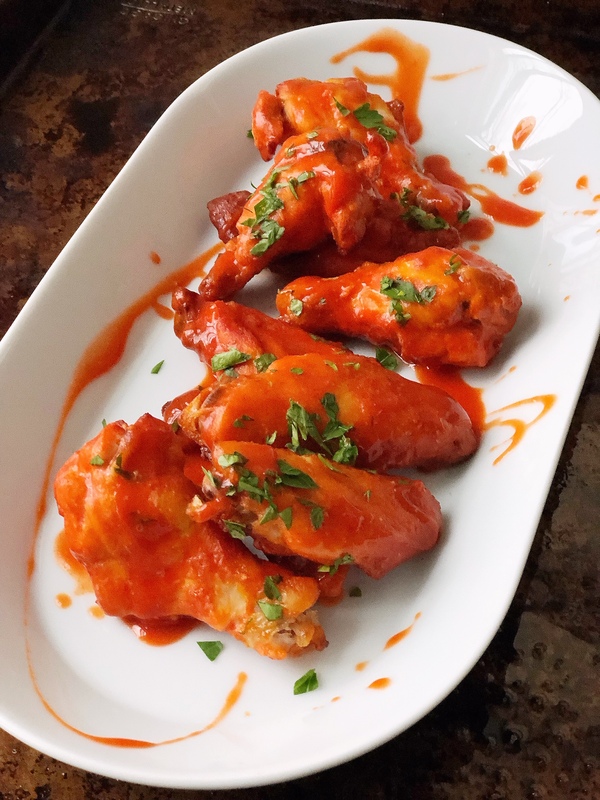 You didn’t think I was going to talk about football eats without talking about buffalo wings, did you?! I think wings might be one of my top 10 favorite foods – they really take me back to college, being dragged out of my sorority house to go watch football at Buffalo Wild Wings. The good ‘ol days, eh? I particularly love this wing recipe because they’re baked, have no butter, and are still super crispy and really hit the spot. I mean, look at these! Don’t you just wanna jump in and grab one? Too bad they were gone in like 4 minutes flat – hubby couldn’t wait for me to be done taking pictures of these. The on going debate in our house, though, is drumstick vs. actual wing. Hubby prefers all drumsticks, and occasionally even asks for all drumsticks when we’re out. I actually prefer the wing! When I think of a big football game, I think of everything Buffalo flavored – am I alone here? 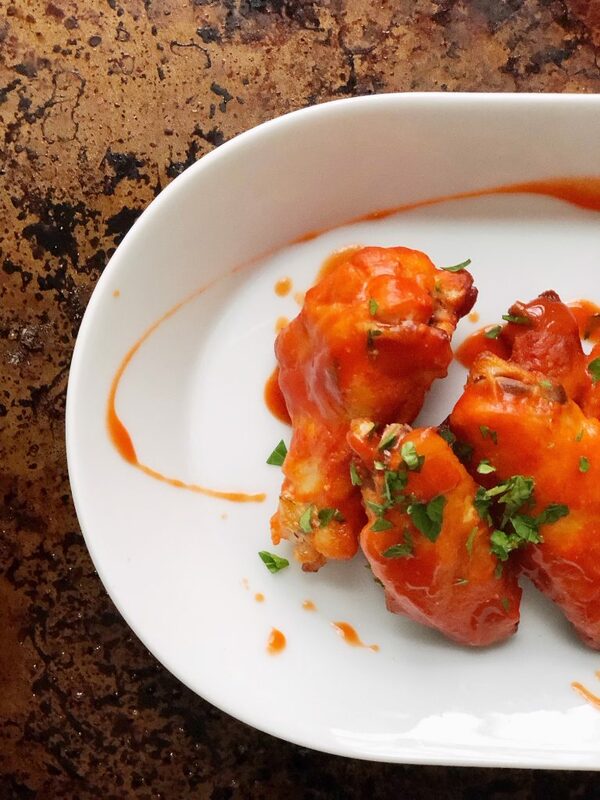 Buffalo wings, buffalo chicken dip, sign me up! 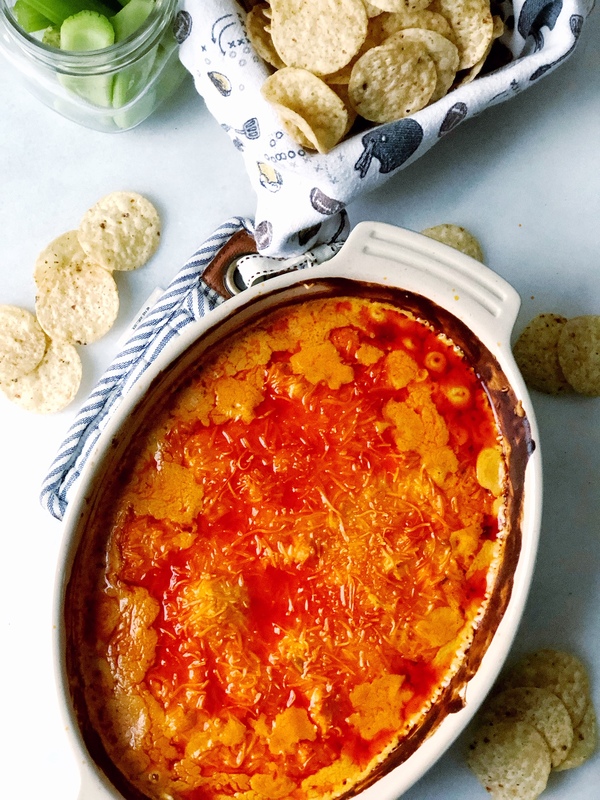 Each year since we’ve had our house, we’ve hosted a party for the Big Game and every year I can’t skip the Buffalo Chicken Dip! It basically tastes like football to me. I really love spicy foods, and I love that you could really make this dip with any spice level you want! You can opt for a hotter-than-buffalo flavor, if you want, or swap in absolutely any flavor wing sauce you like. You could even make two, one for the spice-haters and one for the spice-lovers! I love that a buffalo chicken dip is also just way easier to eat than regular wings, but you get all the flavor. 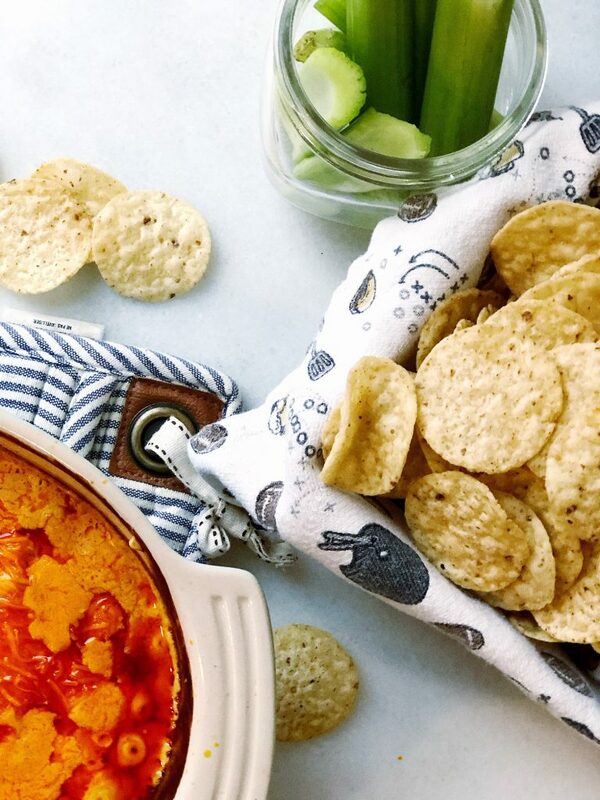 I like to serve up this dip with celery and tortilla chips – you could even add carrots (but I’m having a carrot sensitivity all of the sudden, so I left them out! ).